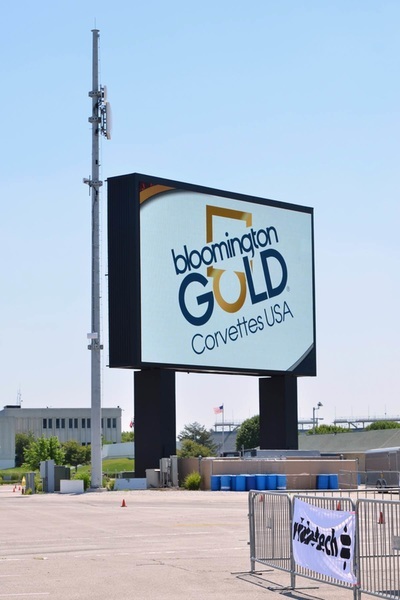 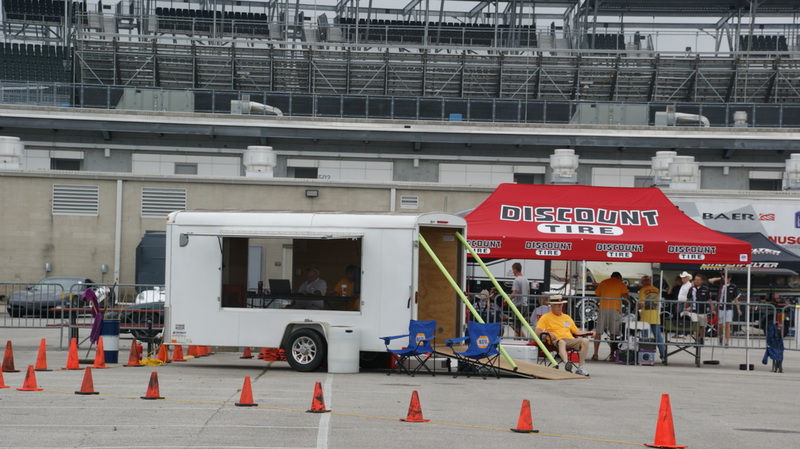 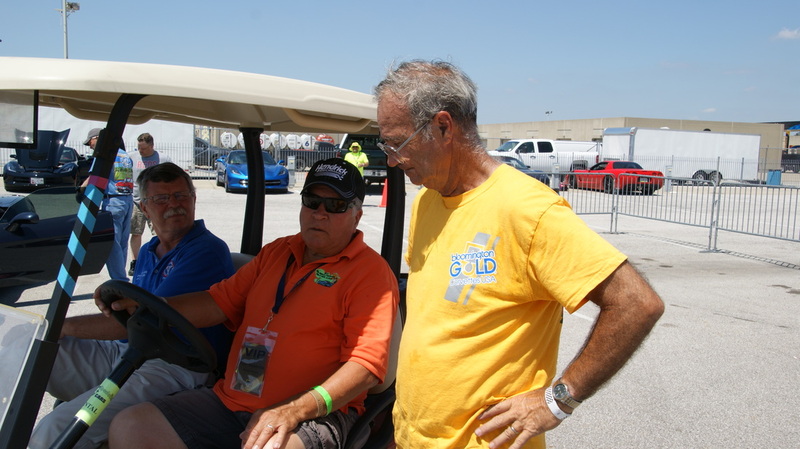 This year's Bloomington Gold was held on Thursday June 23 thru Saturday June 25 and is the second year for the Gold Autocross that's operated by clubs of the Indiana Region. Those clubs were Corvette Indy, Hoosier, Circle City, Indianapolis, Star City (Lafayette), Anderson, Derby City, and Michiana for a great representation from all parts of the Indiana region. 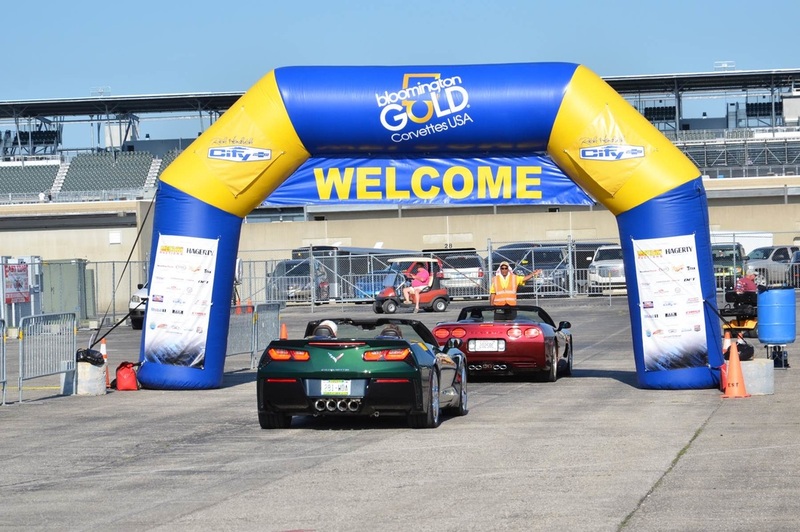 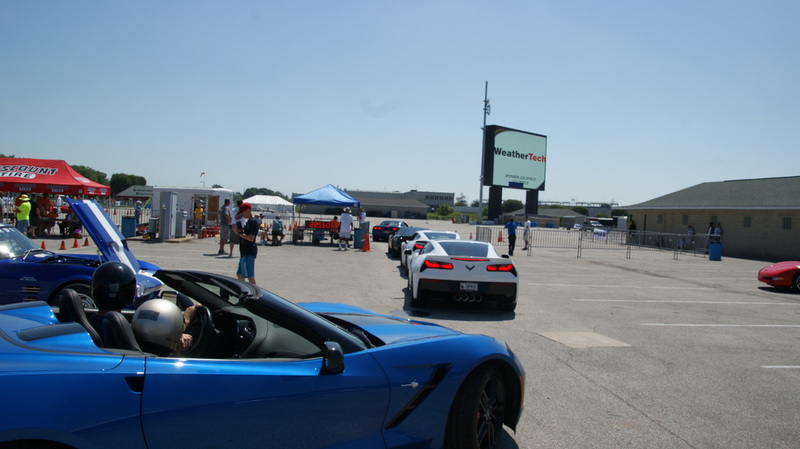 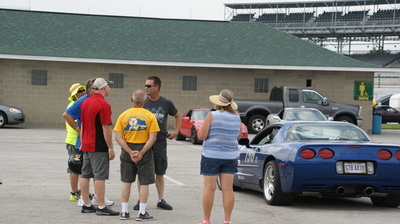 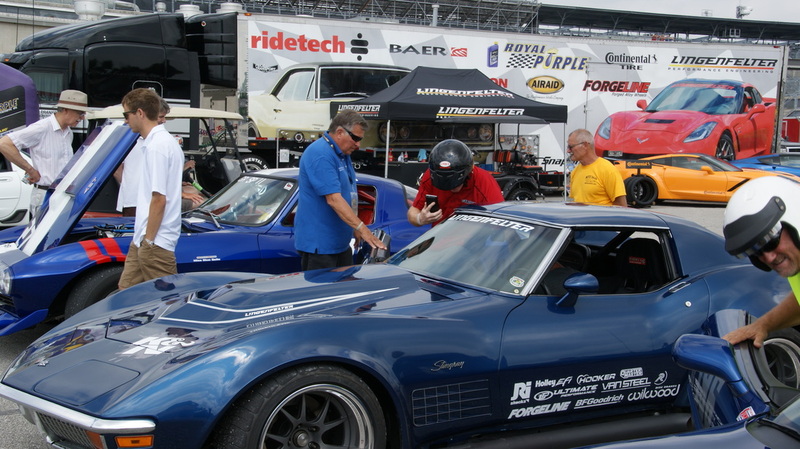 Last year's sponsors Lingenfelter and RideTech were again there with drivers and Corvettes to give the Bloomington Gold participants a chance for a ride along for those that did not drive their own Corvette around the track. 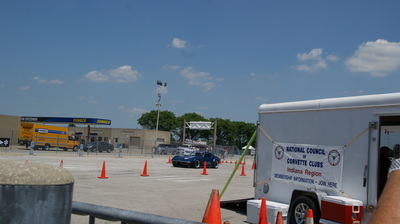 The course was setup as a fairly easy figure eight so as to not intimidate first timers but with sharp turns and a stop box to let them get a feeling of what they might see at NCCC events. 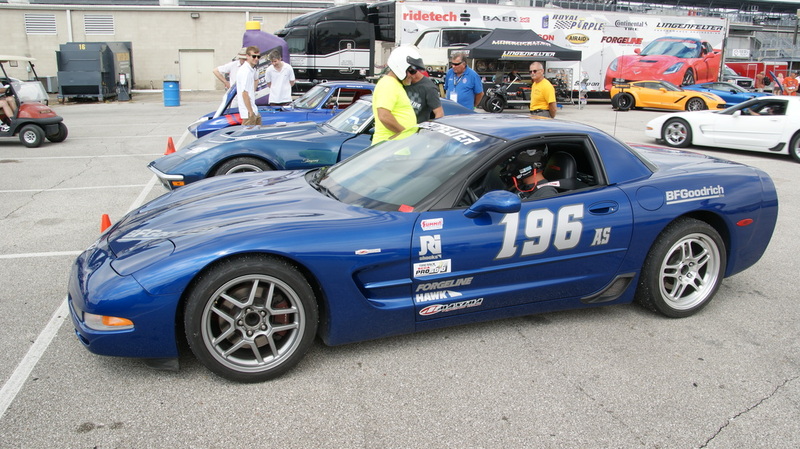 This allowed the sponsor drivers to give rides in the 19 to low 20 second times with Lingenfelter's Danny Popp having a 19.049 as the three day best time. This was done in his C3 which has been in his family since new, but now fully modified with an LS motor. 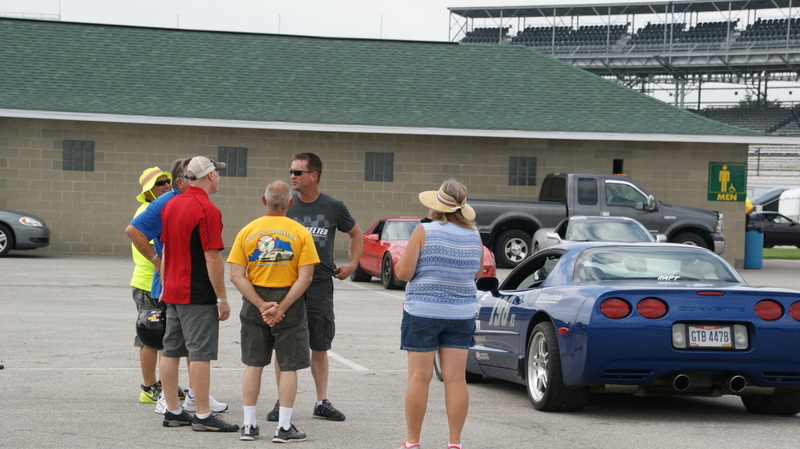 During Friday's event Dave Heinemann, NCCC president, brought Lance Miller from Corvettes of Carlisle by and had him take a ride with Danny. 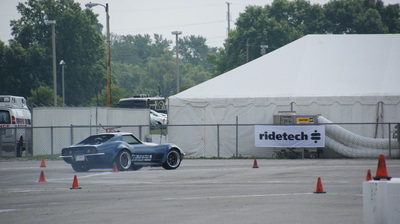 During their run Lance streamed the ride on his Facebook page, for a first from the Gold Autocross. Over the three days there were nearly 1100 runs which was twice as many as last year. 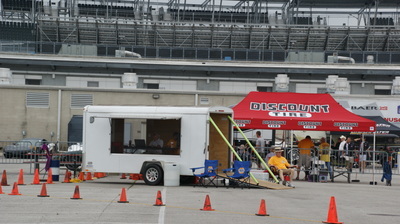 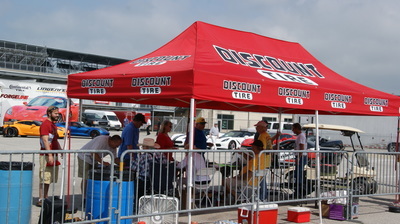 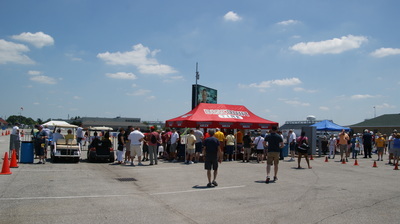 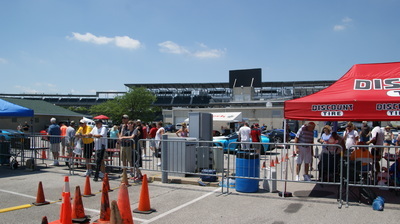 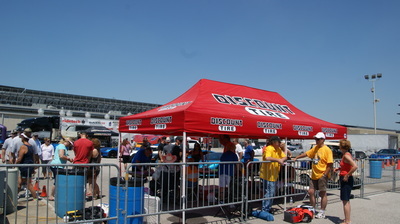 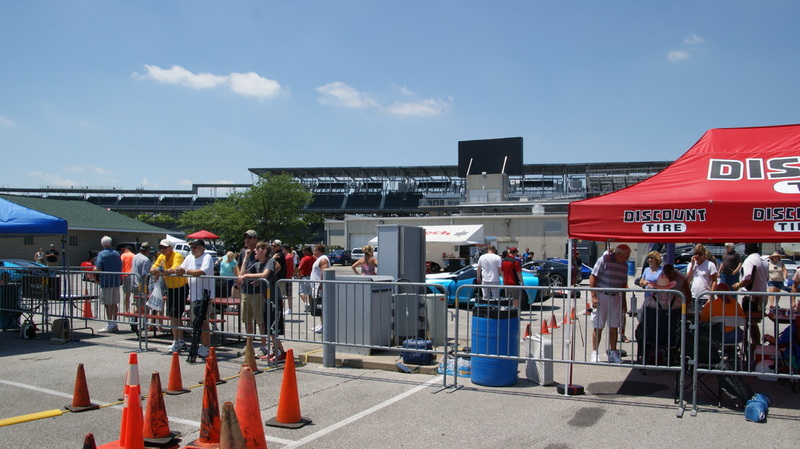 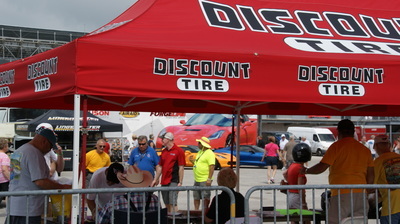 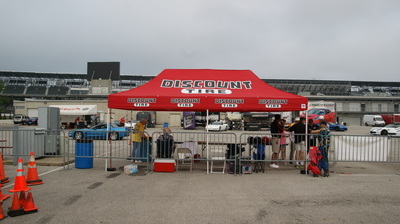 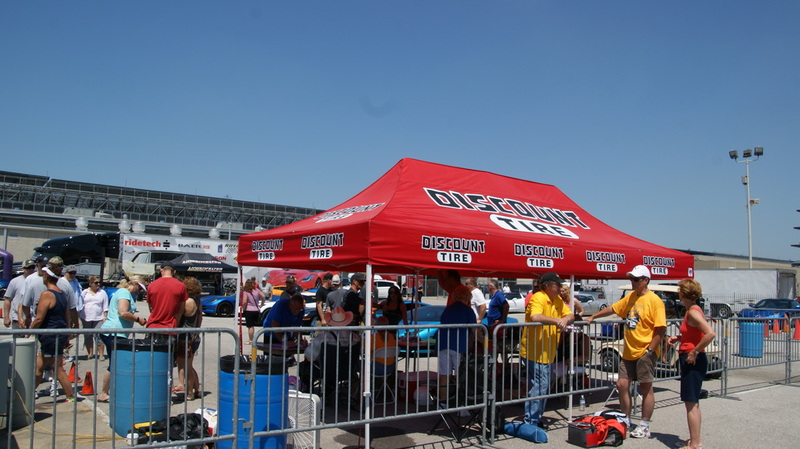 The weather certainly helped but with more pre registrations this year the autocross is becoming an attendees favorite. Those that just took a ride-along were amazed that the rides were free and all went away with big smiles. 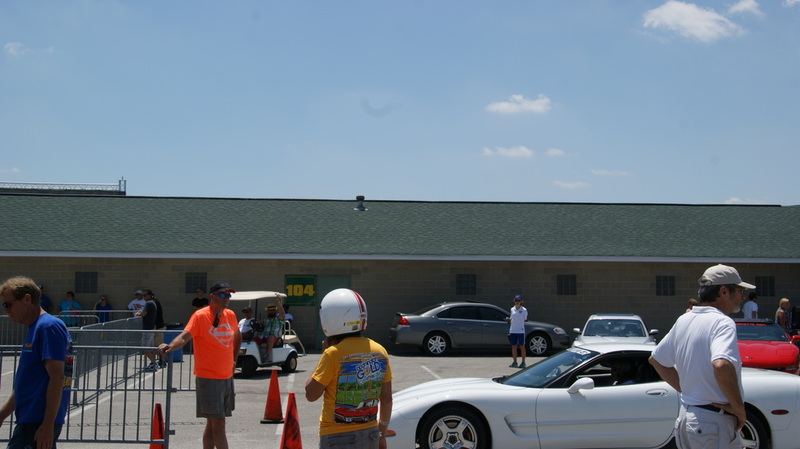 Many of those that did drive the track first bought the 5 laps for $25 package but as soon as done with those laps came back and added $25 to get an additional 15 laps. 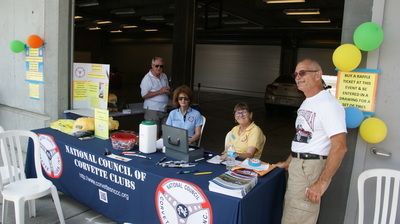 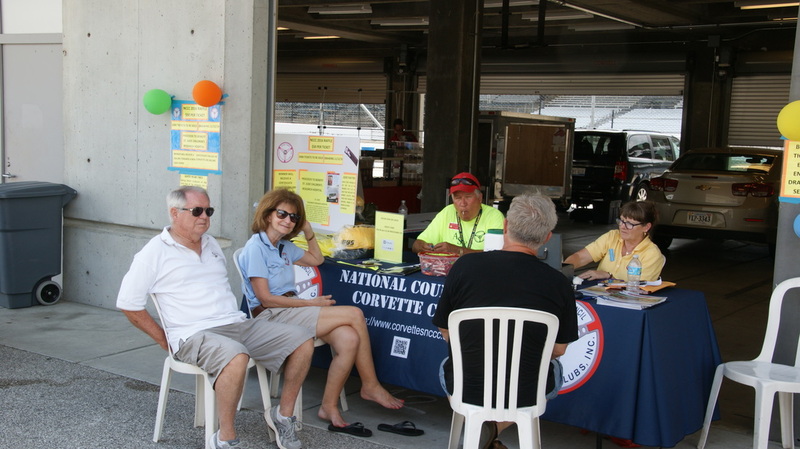 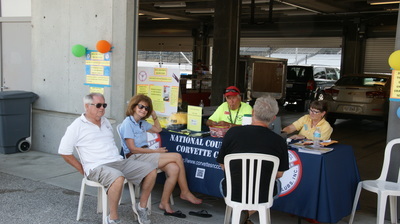 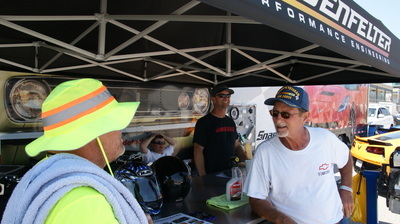 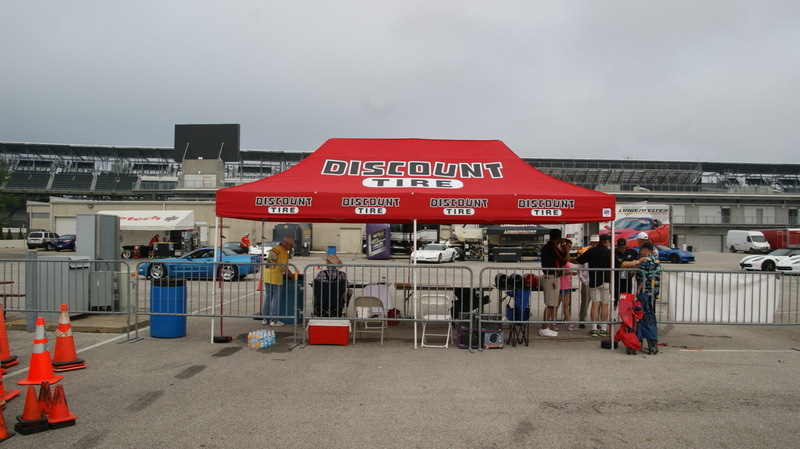 The NCCC also had a booth not too far from the autocross which was staffed by National officers and was very successful in selling tickets for a new Corvette along with working to sign up new members across the nation.